The High Prairie Mavericks midget hockey team held a Teddy Bear Toss at their game Dec. 22. 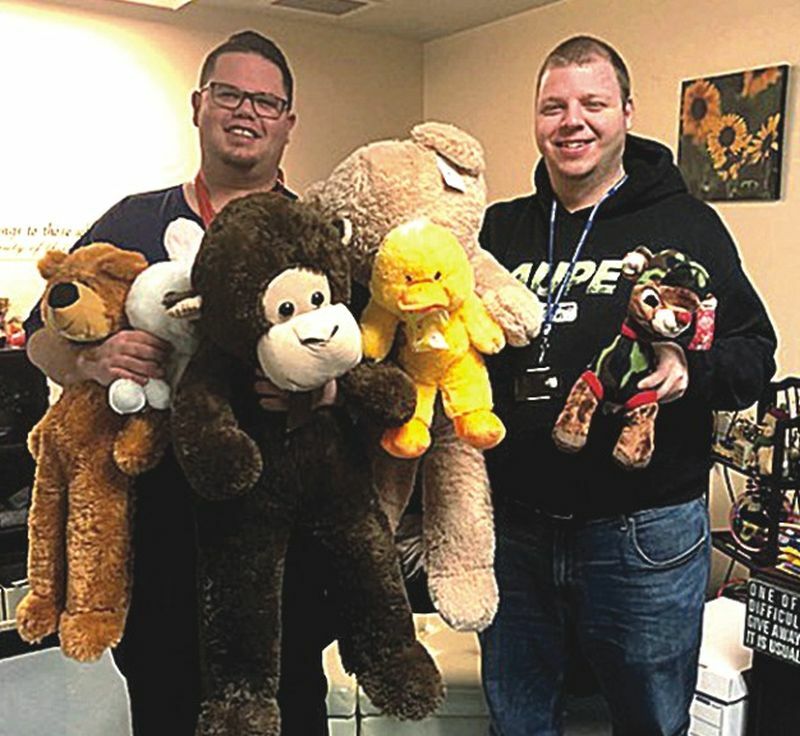 Many bears and other stuffed animals were donated to High Prairie Victim Services Jan. 11. Above, team coaches Zack Kachuk, left, and Josh Herbison, hold a few of the bears. Coaches Trent Meyaard and Nick Hawryliw were absent. The bears will be given to victims of crime to provide comfort in time of need. The teams hopes to make the Teddy Bear Toss an annual event.